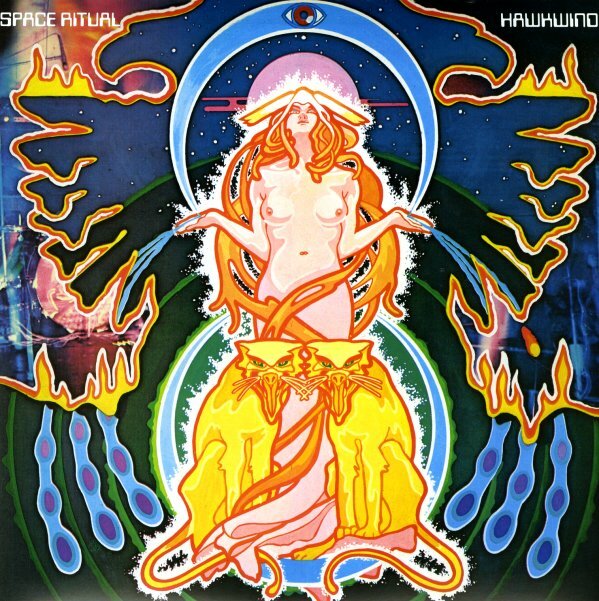 A seminal set from Hawkwind – a record that virtually defines the term "space rock", and which went on to create a whole genre unto itself! The live setting is perfect for the group – as they open up on long tracks that blend together odd touches, sci fi elements, and some mighty heavy rock lines too – all with some trippy vocals that really send things over the top! Lemmy's a mad genius at this point – and the record's got a ballsy power that's quite different from more prog-based groups who travel down similar paths, but never with ferocity like this. Titles include "Earth Calling", "Born To Go", "Down Through The Night", "The Awakening", "Upside Down", "10 Seconds Of Forever", "Brainstorm", "Seven By Seven", "Sonic Attack", Welcome To The Future", "You Shouldn't Do That", "Time We Left This World Today", and "Master Of The Universe". © 1996-2019, Dusty Groove, Inc.